Press conference for the Ojo con tu ojo platform held at Antic Teatre, February 2013. Antic Teatre is much more than a centre dedicated to artistic creation. It is a social and cultural centre with close links to its environment, and an unequivocal commitment to the current political and social situations. As part of this it develops social intitiatives either on its own or in collaboration with other organisations. We stand for a model of social and cultural centre in which connection to the community plays a fundamental and guiding role. Our Centre is located in the Ciutat Vella district of Barcelona, specifically the Sant Pere, Santa Caterina i la Ribera neighbourhood, an area of the city in which cultural diversity, inequality and personal contexts are among the most diverse. The neighbourhood is home to a number of issues: gentrification, mobbing, tourist flats, hotel construction, evictions, people living under the poverty threshold, undocumented immigrants, battered women, elderly people living alone on meagre pensions, young people and minors with no resources, and other groups AT RISK OF SOCIAL EXCLUSION. The fact that this is area is part of the tourist centre of Barcelona makes all these groups invisible and at the same time excludes them from the social and cultural life of the neighbourhood. 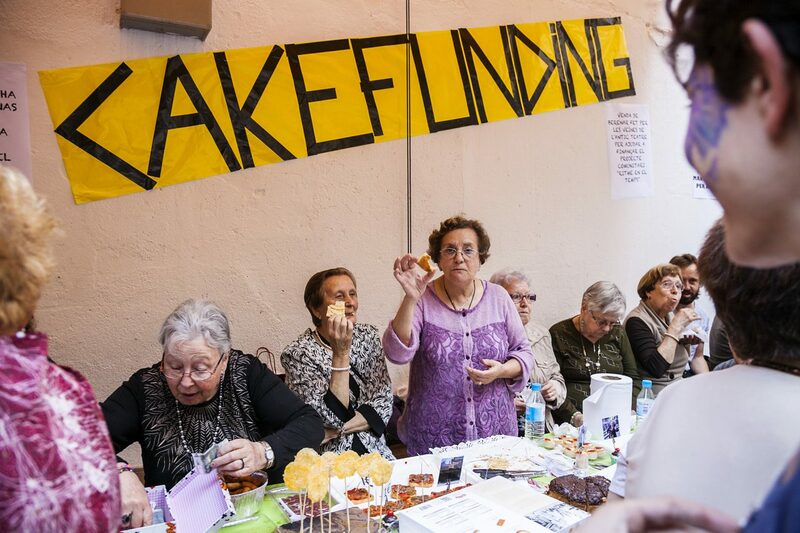 Fundraising for the Community Project with Local Seniors during the Antic Teatre’s Anniversary Party, 2015. Because of this, and with the aim of allowing local people an active role in the cultural and artistic life of the city, Antic Teatre’s doors are open every day of the year as a place in which to meet and exchange ideas for neighbours, members, audiences and artists. 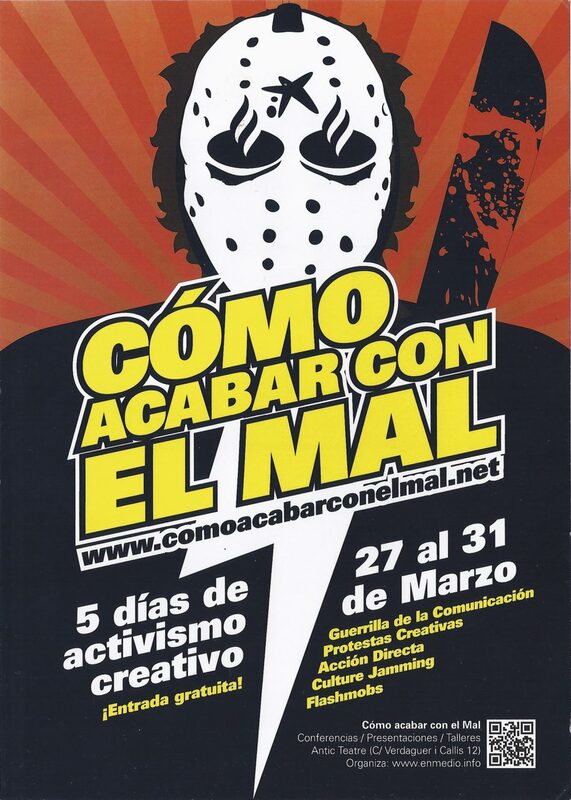 The aim is to energise local life and spread awareness of the socio-cultural model we stand for. We use art as the social and political tool for our involvement, creating artistic projects with the community and yearly open-door days for our immediate neighbours. 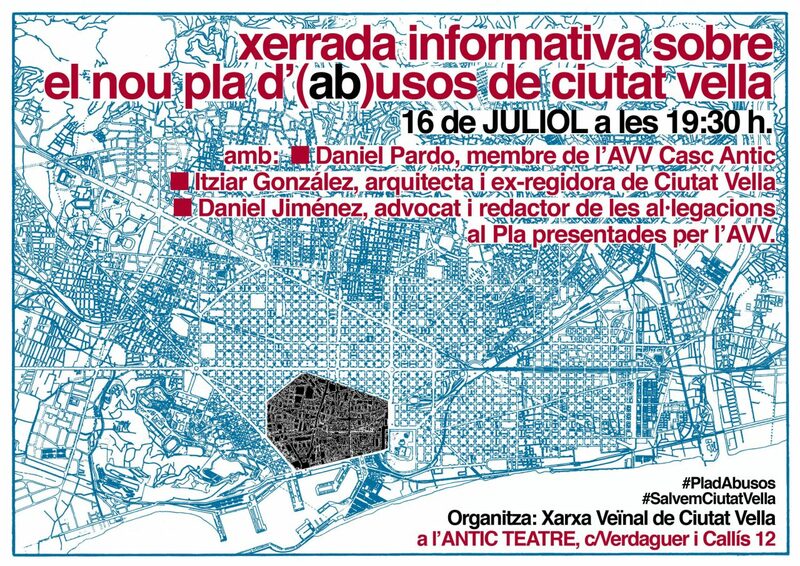 As part of this, we place great importance on our connection with the Associació de Veïns del Casc Antic (Casc Antic Neighbourhood Association) and other local entities. 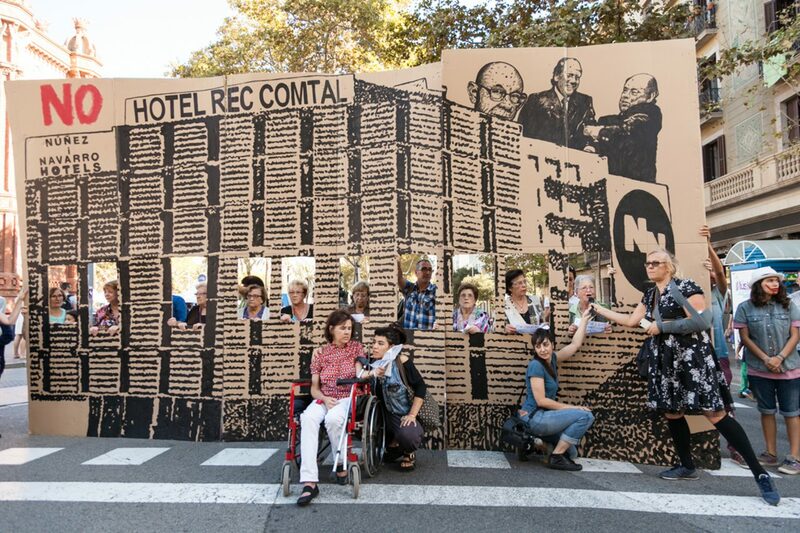 Protest action against the building of a hotel by construction company Nuñez i Navarro in Rec Comtal street in the Sant Pere neighbourhood, organised by Antic Teatre with the participation of local residents and organisations, 2014.